Slow Culture is proud to present “Terra Incognita.” The first solo show for visual artist Adam Harteau. 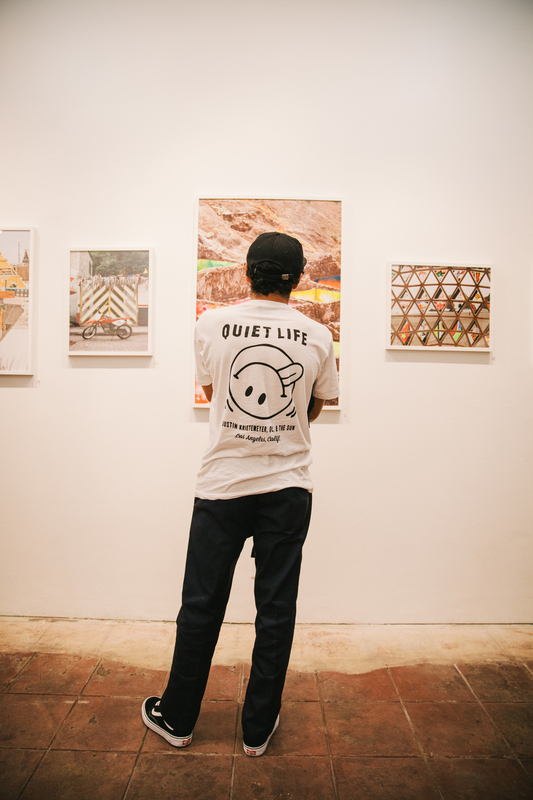 Inspired by 2 years on the road with his family exploring Central and South America, this new body of work exhibits photography, collage, painting, drawing and mixed media. Latin for ‘unknown land’, terra incognita is a term used in cartography for regions that had not been explored or documented. Drawing inspiration from geology, geography, cartography, and the rich cultural heritages of lands visited, Harteau’s experiences inspired a modern body of work uniquely his own. During their travel, he has cataloged visual datum that he brings to life. Neon colors pulled from urban walls sit in company with the rich tones of natural lands; deconstructed cartography appears alongside classic portraiture. Harteau’s creations include studies in geometry, explorations of nautical charts, ocean currents, and topographic forms. A by-product of camping for most of the journey, Harteau’s work is been forged from the close connection he has experienced living with the land, sea, and sky. Documenting the family’s journey on their blog www.ouropenroad.com, in what began as a 1-year journey, has turned into nomadic life on the road. Their adventure has been featured in New York Times, Outdoor Magazine, Surfer Magazine and in “The Outsiders,” a print book by Gestalten, among others. When the show closes, Adam and his family will return to South America- departing Brazil, where their beloved van is currently and heading into Uruguay for the first time. Crossing back into Argentina, they will head south to reach Ushuaia, the southernmost city in the world, around the New Year. Journeying north they will explore Patagonia for the South American summer. 2014 looks to hold many new adventures, sure to inspire more works of art.